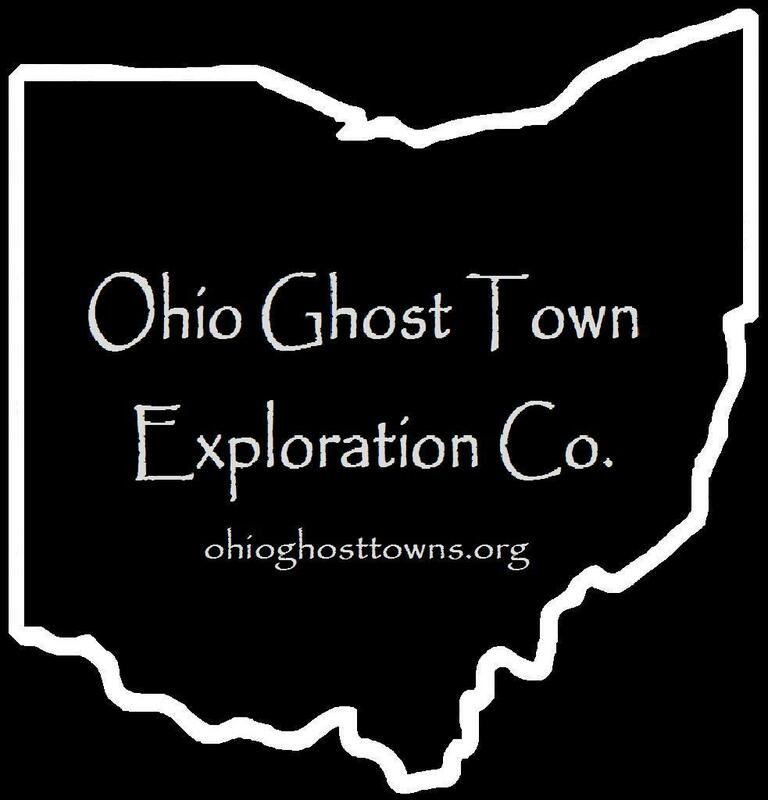 Erie County – Ohio Ghost Town Exploration Co. Description: It was originally settled by David Abbott (1766 – 1822) & Mary (Brown) Abbott (1770 – 1849) who moved to Ohio from Massachusetts & accumulated 1800 acres which stretched on both sides of the river. After David passed away, the biggest land owner & entrepreneur was Jared Ward (1767 – 1857). Valentine Fries (1826 – 1900) was the last proprietor, a grocery store owner & later a ship builder in the 1870s & 1880s. The Abbott Home was built in 1824 & made it onto the National Register Of Historic Places in 1975. Description: Ashmont sat on the “Nickel Plate Road” (New York, Chicago, & St. Louis Railroad) but didn’t have a train station. Description: Cookes Corners was the former town at the current location of North Monroeville. The proprietors were ancestors of Revolutionary War veteran Captain Asaph Cooke (1748 – 1826) & Thankful (Parker) Cooke (1745 – 1819). They were buried with relatives in North Monroeville (Cooke) Cemetery. Description: It was a small farming & merchant town from the mid 1800s to early 1900s. The area appears to never have been completely abandoned as a row of residential lots sit in the same spot as the ones on the 1865 Worley & Brocher map. Description: This small farming town was once the home of the oldest church congregation in the township which was moved there in 1836. Description: The post office & a blacksmith shop across the road were on land owned by Dr. John P. Deyo (1804 – 1898) & Sarah (Foster) Deyo (1819 – 1887). They had a few children & a large farm. The post office was later moved to the center of the township & operated by A.J. Hastings. John & Sarah were buried with many relatives in Deyo Cemetery. Description: Harpers Corners was the original name of Ceylon & was founded by Joseph Harper (c. 1760 – 1820) who came to Ohio from Vermont. He had a few children with Esther (Dean) Adams (1767 – 1842). She remarried after his death & her gravestone is still intact in Peaks Cemetery. In the mid to late 1800s, it had a train station on the Lake Shore & Michigan Southern Railway, a hotel, two stores, two saloons, & a saw mill. Description: It was once a separate small town but is now a neighborhood in the City of Huron & has newer residences in the area. Description: Muscash was the site of the first religious congregation in the township & founded by Methodists. It was also a trading post for Native Americans who usually wanted cash instead of goods, hence the town name. Description: New Berlin was the original name of Berlin Heights in the early to mid 1800s. Description: The town was named by surveyor Almon Ruggles after U.S. Congressman Elias Perkins from New London, Connecticut. It sat on the B & O Railroad but didn’t have a train station. Description: In 1860 a “Free Love” communistic village formed with 20 members who made the trip to Ohio from New England. They recruited a whopping one resident of the area & the village lasted a little less than a year. Description: The town was founded by Addison Mixter (1829 – 1890) from Massachusetts & Jane (Wolverton) Mixter (1828 – 1906) from New Jersey. They met & married in Ohio, built a general store, & ran the post office. Addison & Jane were buried with relatives in Scott Union Cemetery on Huron – Avery Rd in Huron. Description: It was founded by Andrew Prout (1811 – 1881) & Mary (Carpenter) Prout (1818 – 1903). Andrew was a shoe maker & also sold clocks. They were married in 1833, purchased a 100 acre farm, & had several children. Andrew was the first postmaster & the town had a train station on the B & O Railroad. They were buried with relatives in Sandhill Cemetery on W Mason Rd at the intersection of Skadden Rd. Description: The proprietors were Charles H. Ransom (1821 – 1901) from Connecticut & Susan (Slaughter) Ransom (1826 – 1917) from New York. They were pioneers of the township, had 6 children, & owned 764 acres of land engaging in farming & stock dealing. There was also a wool mill & steam saw mill along Vickery Rd in Sandusky County in the mid to late 1800s. Charles & Susan were buried with relatives in Oakland Cemetery on Milan Rd in Sandusky (Erie County). Description: It was a summer vacation resort village owned by George Shattuck. The venue hosted traveling circuses, dances, & other family events in the late 1800s to early 1900s. Description: The town was founded by Ezra Sprague (1785 – 1856) from Massachusetts & Harriet (Griswold) Sprague (1781 – 1852) from Connecticut. They were the first settlers in the township in 1809 & had 7 children. Ezra was the first justice of the peace & a common pleas court judge. They were buried with relatives in Cable Cemetery on the east side of Cable Rd south of Harmon Rd. Description: The founders & original proprietors were Philo Wells (1786 – 1879) from New York & Hannah (Lewis) Wells (1788 – 1848) from Connecticut. They had a nice farm & a few children. The town also had a church & a cheese factory in the late 1800s. Philo remarried after Hannah passed away. They were buried with relatives in Maple Grove Cemetery. The town name changed to Axtel after the family that owned the cheese factory sometime around 1900. Description: Reverend John Beatty of Connecticut purchased most of Perkins Township from the Firelands Company & moved his family there with a group of settlers shortly after the War Of 1812 ended. Included in the group were: Joseph Taylor, Jesse Taylor, Julius House, Holly Akins, Roswell Hubbard, Harvey Covell, Eleazer Bell, Plinney Johnson, Richard Christopher, & William Beebe. The town existed for around 100 years & had a church. Many of the pioneers & their descendants were buried in Perkins Cemetery on Beatty Ln in Sandusky.